Export creates files compatible with AMS-LaTeX. 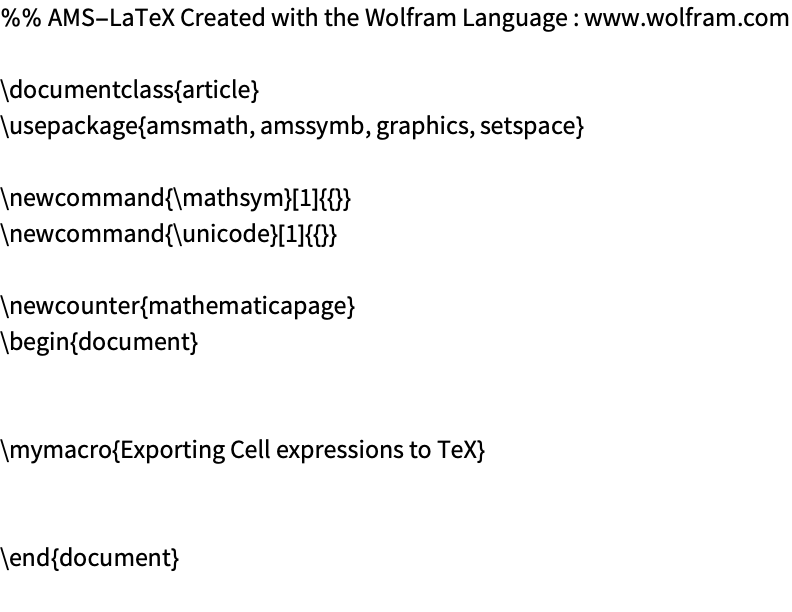 See the "LaTeX" reference page for complete information about importing TeX documents. 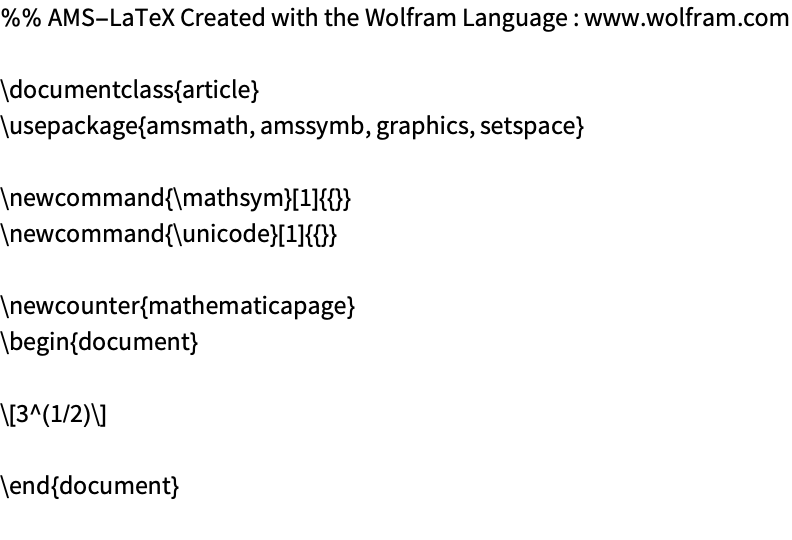 TeX typesetting system and programming language. 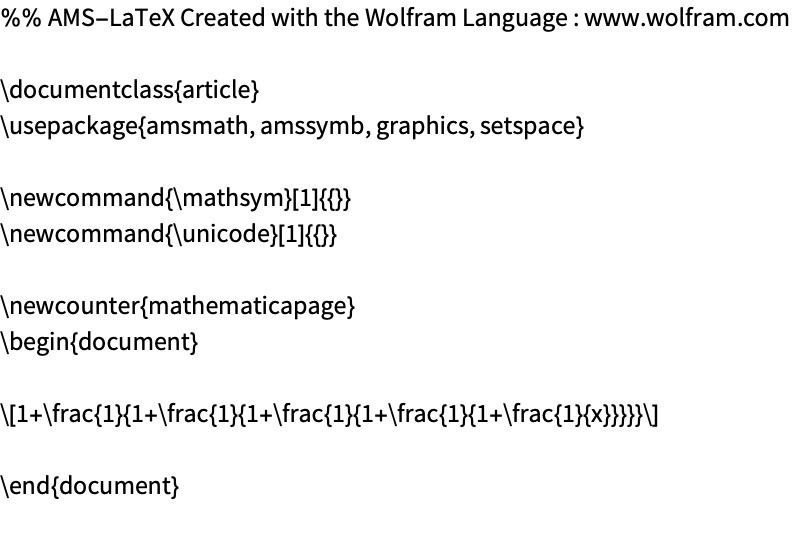 Commonly used for typesetting mathematical and scientific publications and other technical documents. Describes the contents and the layout of multipage documents. Developed since 1977 by Donald Knuth. 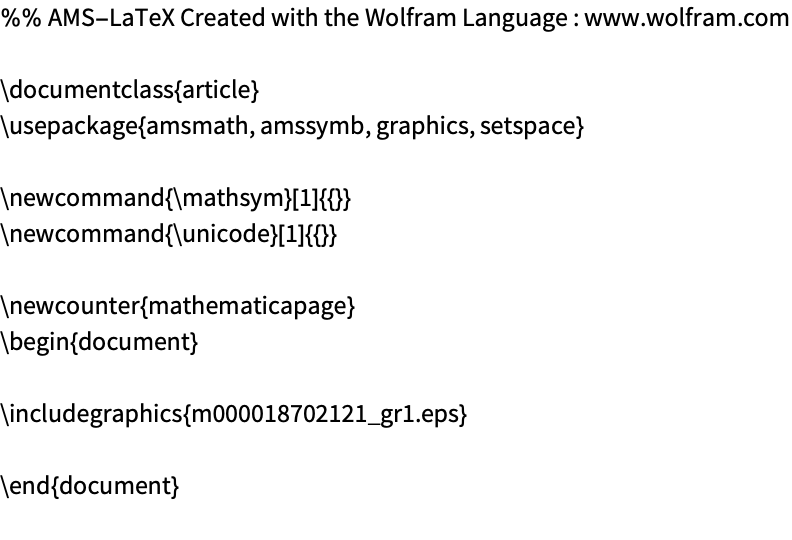 Export["file.tex",expr] exports arbitrary expressions and Notebook or Cell objects, as well as any box expressions obtained from ToBoxes, to the TeX format. 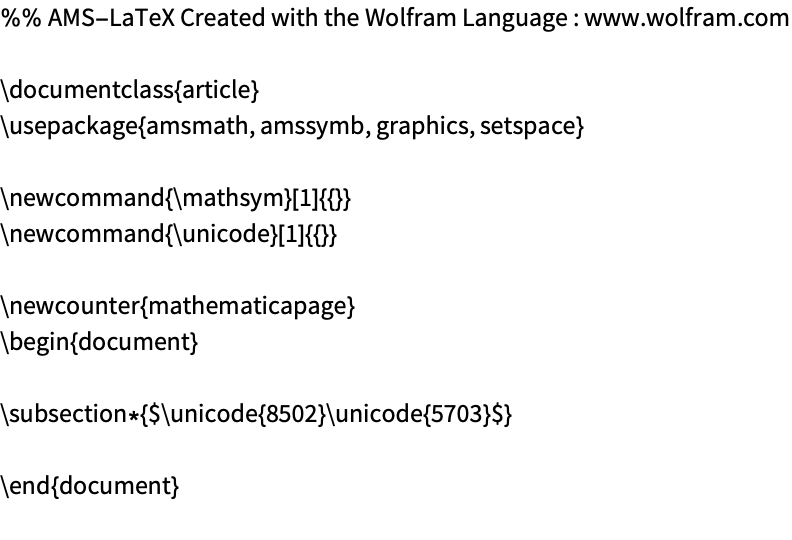 The exported TeX includes markup material that maintains much of the document structure that exists within the Wolfram System. 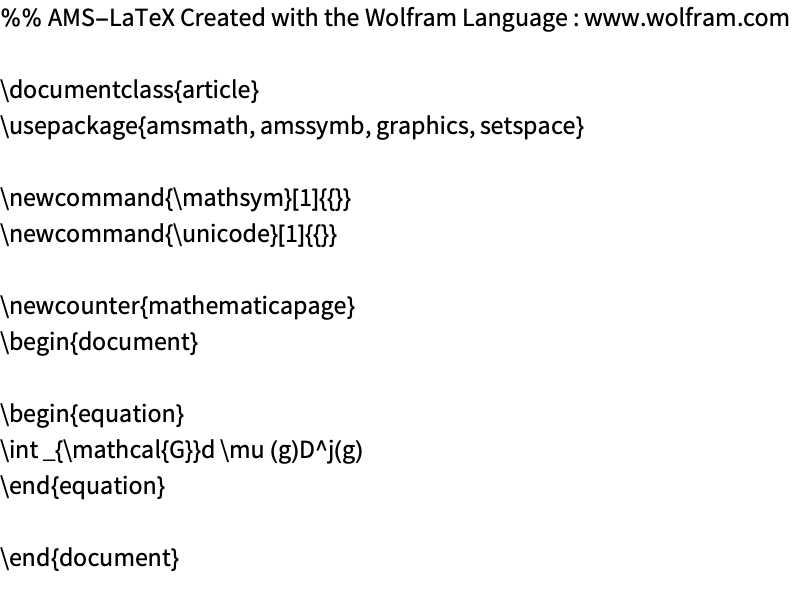 Export always generates complete AMS-LaTeX documents, not merely TeX language fragments. TeXForm can be used to create a TeX version of a typeset expression. Export["file.tex",expr,elem] creates a TeX file by treating expr as specifying element elem. The export format can be explicitly specified with the command Export["file",expr,"TeX"]. ExportString supports the TeX format. In the notebook front end, Save As exports the active notebook as a TeX file. Save Selection As exports the selected part of a notebook to TeX. Typical settings for "DocumentClass" include "article", "report", and "letter".